When the cold weather arrives you’re going to find your home starts to struggle. The winter weather can play havoc with parts of your property. One of the areas that is most at risk is going to be your roof. The roof is one of the most important areas of the home because it protects the rest of the property. And you need to make sure your home is shielded from the weather outside, as well as from security risks. And the way you do this is by making sure you take care of your roof. 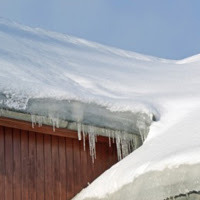 There are plenty of things you can do to winterproof your roof. Take a look at these ideas and start using them immediately! An important step to take that will help you with this is to make sure you have good loft insulation. This is a key part of the process, and one a lot of homeowners overlook. Of course, most homes will already have adequate insulation. But you might want to take steps to further insulate your loft. This will cut down on the amount of heat that escapes through the roof, and will keep the home warmer. That’s essential in the winter for comfort and can save you money. You need to make preparations for any eventuality. 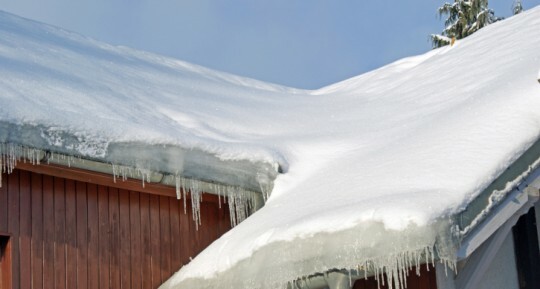 There is a lot you can do to make sure your roof is protected against the winter weather. But sometimes you’re going to have to accept that damage might occur. So you need to prepare yourself for this. And the best way to achieve that is to make sure you have all the right insurance. Insurance to cover roof related problems is very important. So if you have the right insurance, it will mean that you protect yourself financially in the event of any damage or problems. Before the harsh weather comes, you need to make sure your roof is in tip-top condition. The more you look after your roof, the better it will hold out over the winter. That’s why you need to work on restoring the roof as soon as you can. Check out any roof repair companies in the local area. You will be able to get them in as soon as possible to do work on your roof. This is an essential part of preparing your roof for the harsh winter. In the winter, it’s going to snow quite a bit, and the snow will soon mount up. If it builds up on the roof, it can have extremely negative effects on your property. The pressure of the snow can have catastrophic effects on the home. You might find that the heavy snow could result in the collapse of your property. So you need to make sure you clear the snow from your roof on a regular basis. Keep an eye on the roof over the winter months and make sure you clear it regularly. It’s imperative that you look after your roof this coming winter. It’s important for protecting your home, and making you warm and comfortable. There are any risks that can threaten your roof when the weather gets bad. That’s why you need to make sure you do everything you can to winterproof your home.